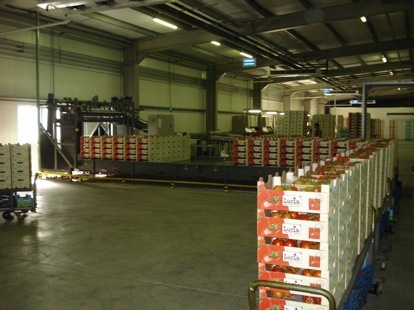 Produce harvested is transferred to the packing hall using the special electric trolleys to be graded and packed, following the strict specifications indicated by the company. 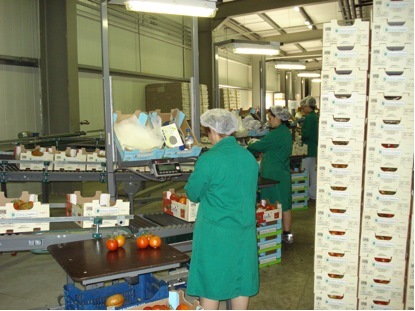 Sorting and packaging are carried out in a 5-scale packing machine, where each package is controlled on weight of the box, size of the fruit, number of fruits per cluster, color and firmness of the fruit. 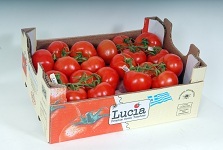 Besides carton box packaging, the company is equipped for flow pack and carton disc packaging.